Affirmation: My energy flows perfectly. My blood is full of life-giving oxygen, and it circulates through my system just as it should for good health. 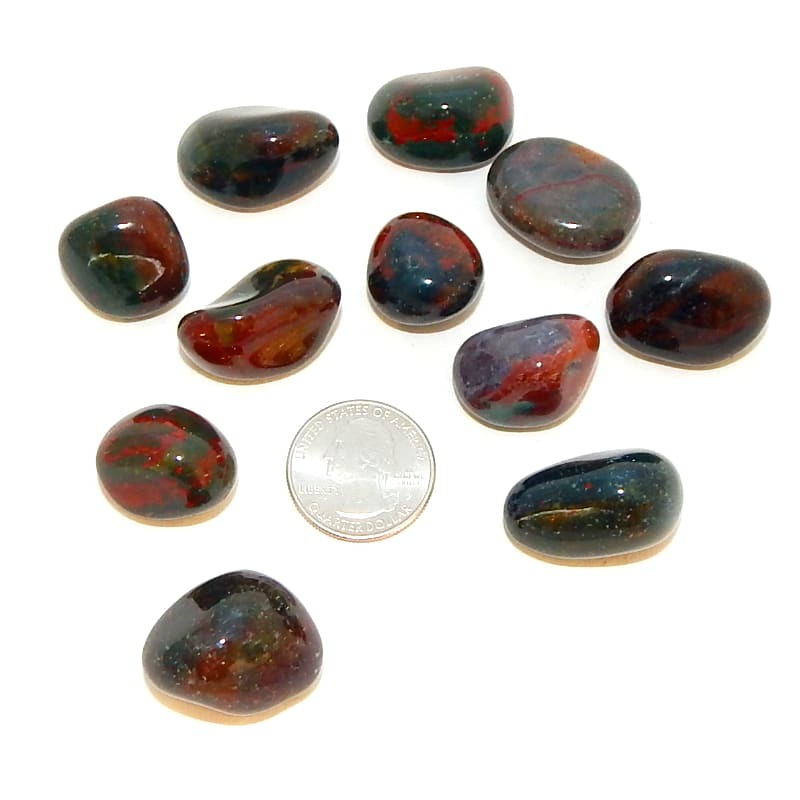 About the stone: Bloodstone is a variety of chalcedony (microcrystalline quartz) displaying a dark green color with red spots of jasper. 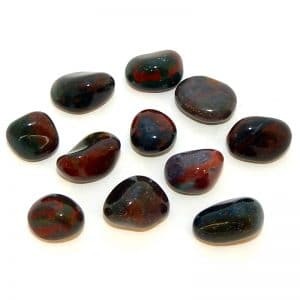 Spiritual uses: Associated with birth and the birthing process, bloodstone helps align you with the birth of your consciousness. Use this stone to bring forth your true spiritual nature. 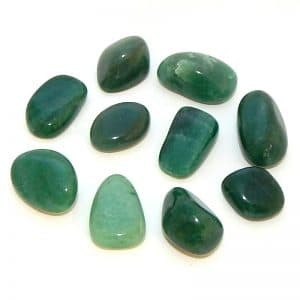 Mental uses: A stone of birthing, it is useful when you are developing an idea, such as an invention, a writing project, or any other creative endeavor that you have only just thought about previously. 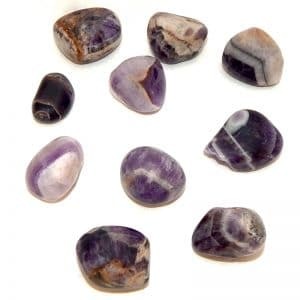 Emotional uses: Use this stone to clear your emotional birth canal so that you have a clear channel for the emotions that help determine your life’s purpose. Physical uses: Bloodstone is a good stone for women to keep on hand during their child-bearing years. This stone helps ease the birthing process and lends supporting vibrations so the baby easily travels through the birth canal.